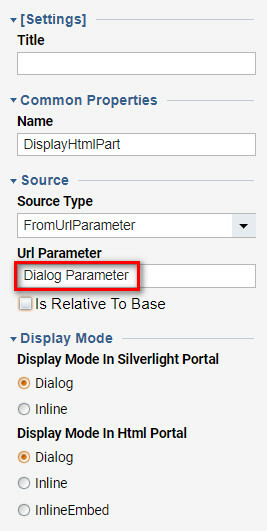 This tutorial demonstrates how to display HTML	page on the Decisions Page using From URL Parameter	option. 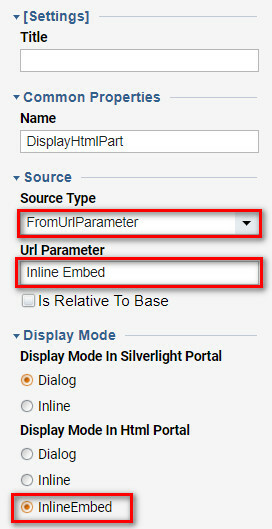 In this example, we are going to show available options on displaying HTML on Decisions Page using From URL Parameter. 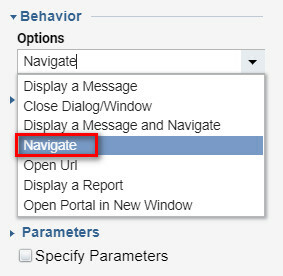 Be begin in Designer Folder	by clicking Create Report > Page > Create Page > Dashboard	on the Folder Actions Panel. 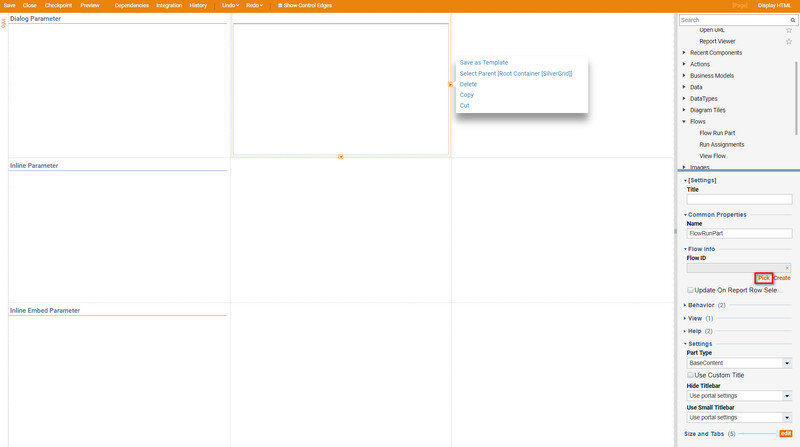 Then, Name	the Page and select Create	to proceed to the Page Designer. Next, in the Steps Tab, locate Favorite Components and Add Display HTML	component. Then, for Display HTML component we change Source Type	from URL	to FromURLParameter. 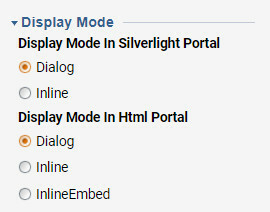 Additionally, we can set Display Mode	separately for Silverlight	and HTML Portal Mode	for the current Display HTML	component. 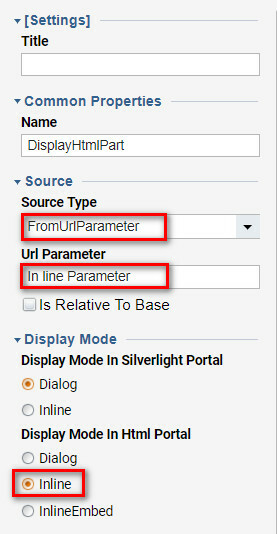 Then, in the Source	settings for the Display HTML	component we define Url Parameter	name to use later in the Helper Flow . Next, add couple more Display HTML	components to use differentDisplay Mode	options. We can save and close our Page Designer for now. 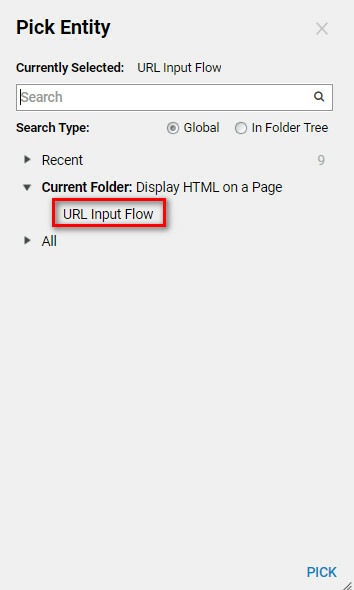 Then, we are going to create Helper Flow	that will be shown on the Page	for the User to be able to input URL	. 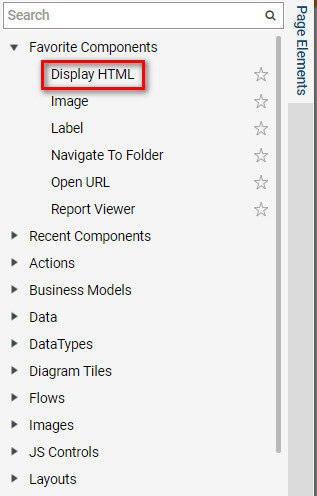 In the Designer Folder, we select Create Flow	on the Folder Actions Panel. In the resulting window we Name	the Flow and click Create to proceed to the Flow Designer. 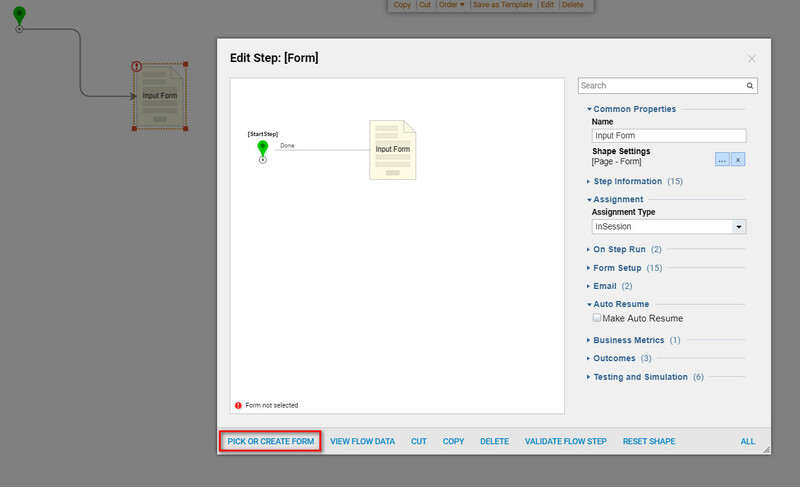 In the Flow Designer , we add Show Form	step from the Favorite Steps	category. Then, Name	the Form and select Create	to proceed to the Form Designer. Our Form is designed to display a TextBox	input control for the user to be able to provide a URL for each of the Display HTML	components on the Page	. Additionally, we have a Button	component to submit those URLs to the Display HTML	components on the Page	. When finished we can Save our Form and close Form Designer. 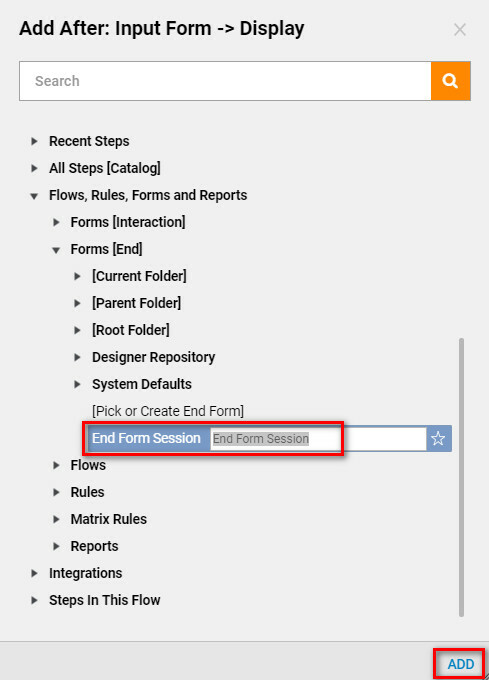 Back in the Flow Designer we add End Form Session	component from the Flows, Rules, Forms and Reports > Forms [End]	category. With the End Form Session step selected on the workspace, we change its Behavior Option	to Navigate	. Then, we check Specify Parameters	check-box and Add New	Parameters that refer to our Display HTML	components’ Url Parameters. 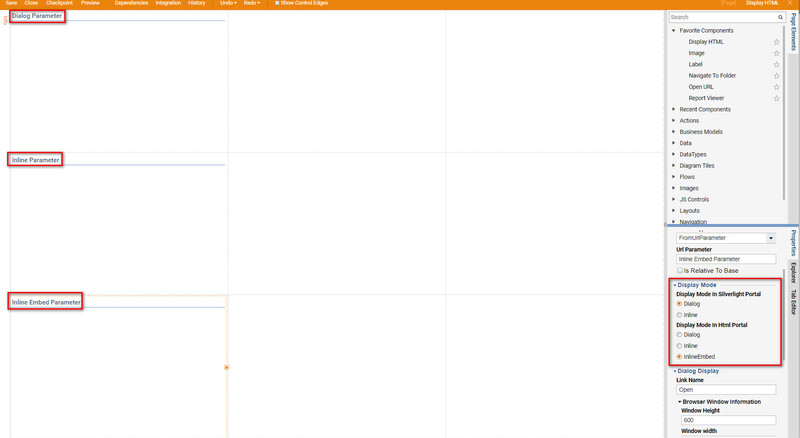 Then, for the FolderId	input, define a Constant	FolderId of the Designer Folder where our Page is going to be displayed. Next, in the Inputs	section, we Select Values	for the Parameters	from the Show Form step outputs in our Flow. 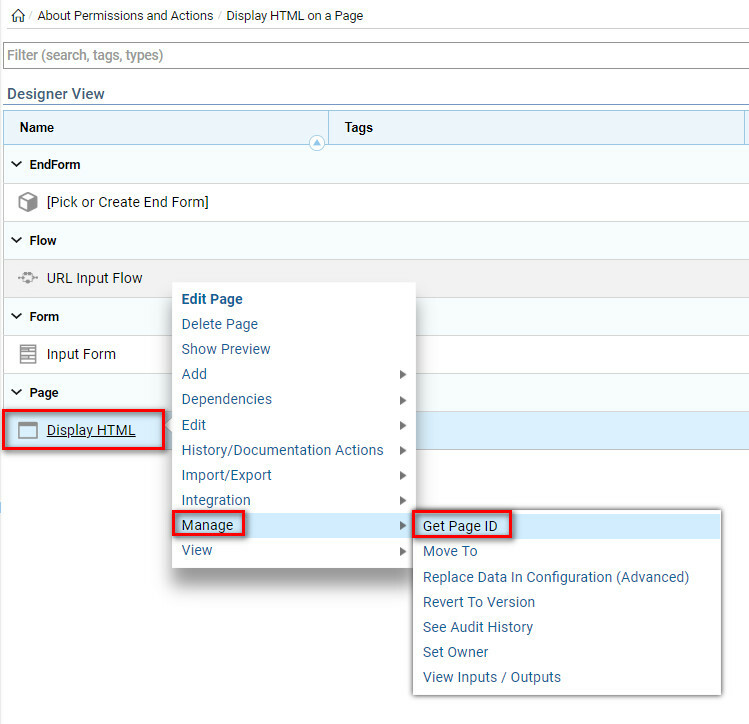 For the Page Name	input, define Constant	Name of the Page	that was created in the previous steps in this tutorial. Finally, connect Done	outcome from the End Session Step	to the End Step in the Flow. This completes the Flow. Save it and close Flow Designer. Then, we are going to display the Flow that we have just created on the Page. In the Designer Folder , locate the thumbnail for the Page	and Edit	it. 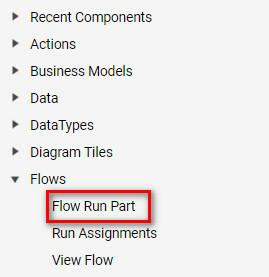 In thePage Editor	, add Flow Run Part	component from the Flows	category to our Page. 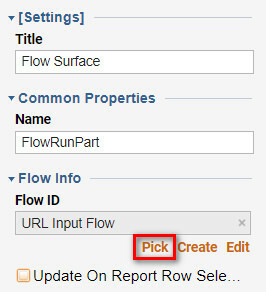 Next, with Flow Run Part component selected, add the Flow	that we created in this tutorial using Flow Id picker in the Flow Info	settings. 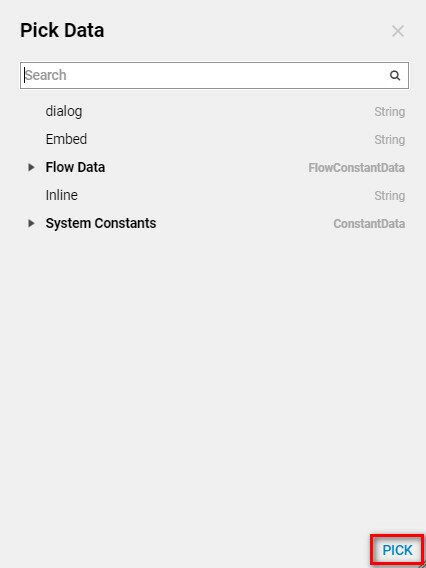 Select Flow from Current Folder. This completes the Page Design. Save the Page and close Page Designer . Back in the Designer Folder	, we attach our Page as one of the Views	for the Designer Folder. Then, select on the new view to display the Page . 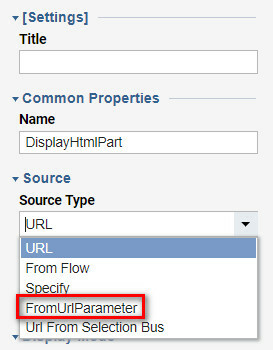 Next, provide the URLs	for the Display HTML	components in Flow Run Part	component and select Display. As a result, HTML is being displayed on the Display HTML components according to the designed Display Mode settings.